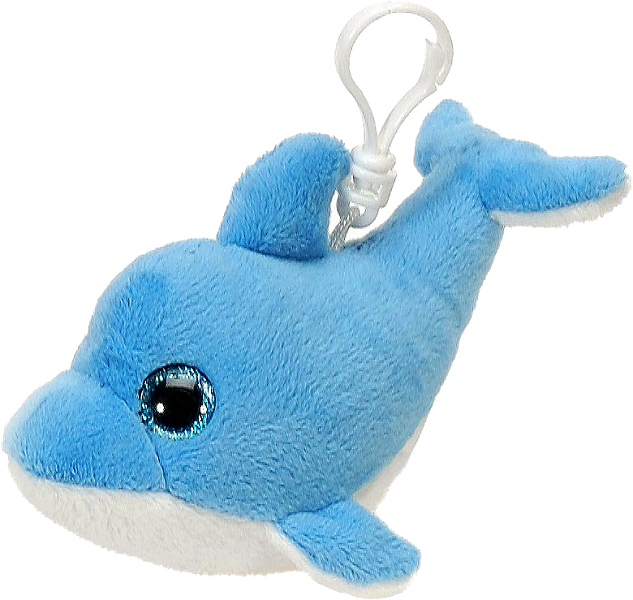 This adorable blue dolphin plush backpack clip stuffed animal is the perfect take-along pal. With a huggable body of soft turquoise fur, and white tummy and under fins, and big, beautiful glittery turquoise eyes in a sweet face, this plush blue dolphin stuffed animal is blissfully content whether simply sitting and hanging out with you or the two of you are trekking far and wide in an on-the-go imaginative adventure. 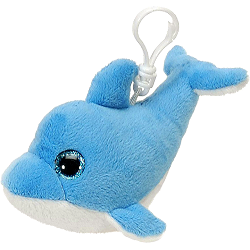 Complete with white backpack clip for attaching to your backpack, purse, belt loop, or simply looped around your finger, this plush Glitter Eyes blue dolphin clip on critter is also great for birthday treat bags, prizes, and giveaways. Little Dipper is an adorable plush dolphin with soft light blue fur and an inspirational message of Flipping for Joy.